University of Virginia President Teresa A. Sullivan on Monday announced the formation of a new President’s Commission on the University in the Age of Segregation. The commission will “explore and report on UVA’s role in the period of racial segregation that occurred in the 19th and 20th centuries,” Sullivan said in remarks given at UVA’s School of Law. “As with many universities and many states at the time, UVA and the Commonwealth of Virginia were involved in segregation and other practices related to racial inequality,” the president said. The President’s Commission on the University in the Age of Segregation will complement the work of the President’s Commission on Slavery and the University. Launched in 2013, the slavery commission is exploring UVA’s historical relationship to slavery and its legacies, setting the table for continued research and education on the subject. One of the slavery commission’s most tangible outcomes thus far is recommending the creation of the Memorial to Enslaved Laborers at the University of Virginia. Fundraising efforts are underway to build the circular stone memorial, the design for which was approved by the University Board of Visitors in June. The names of enslaved laborers who worked at the University will be etched on the interior wall of the memorial, to be located on a grassy slope east of Brooks Hall and across the street from the Corner. Last fall, the University held “Universities, Slavery, Public Memory and the Built Landscape,” a large symposium that helped launch UVA’s Bicentennial celebration. Sullivan told the audience in the packed Caplin Pavilion that there are stories of the University’s complicity in the age of segregation. For example, in the 1900s Harvey E. Jordan, a former dean of UVA’s School of Medicine, was a proponent of the now-discredited theory of eugenics, which held that those with so-called “undesirable traits” should be discouraged from reproducing. Last year, a medical building named for Jordan was renamed to honor Dr. Vivian Pinn, a 1967 graduate of the School of Medicine and the only African-American female in her class. His enrollment inspired other African-Americans to come to UVA and helped spur the integration of other all-white institutions around Virginia. “The President’s Commission on the University in the Age of Segregation will explore these and related elements of our shared past,” Sullivan said. Sullivan said the commission is being chartered for four years, and was done so in consultation with and the endorsement of President-elect James E. Ryan, who begins his term as UVA’s ninth president in October. 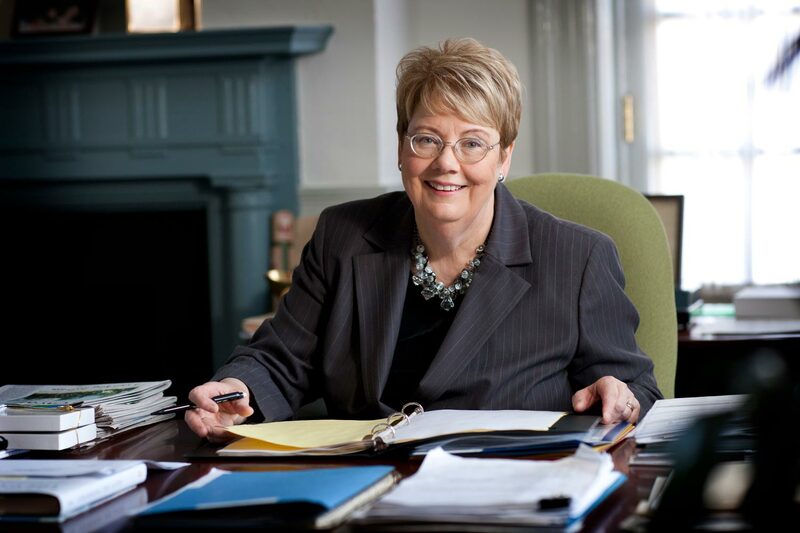 Sullivan’s term as president is set to conclude this summer. The commission will provide advice and recommendations on appropriate documentation and recognition of this historical period. Sullivan is seeking nominations for commission membership, and appointments will be made this spring. Information about the nomination process will be forthcoming.